Well, as some of you may have heard, I recently bought a 6990 off a local from OCAU. 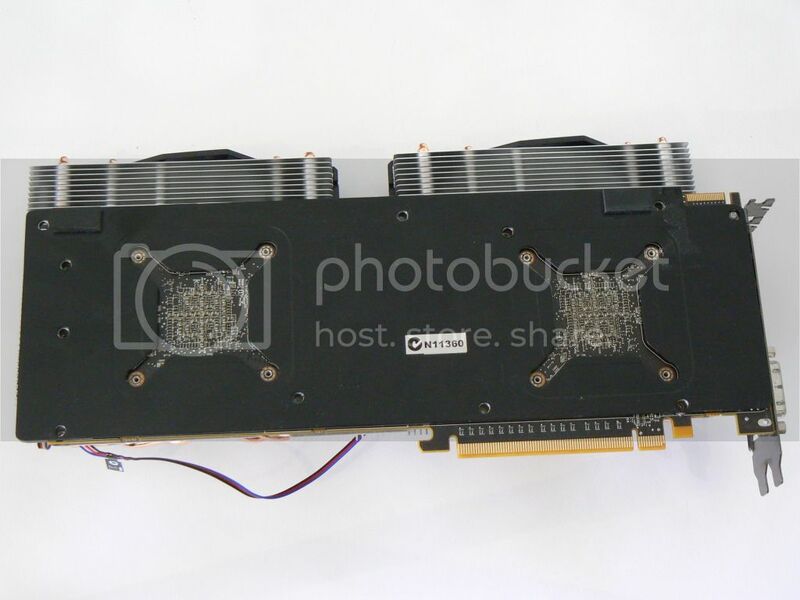 This card seemed to have some problems with its cooling, as at stock speeds it hit 103 degrees on each gpu and subsequently downclocked to keep itself from crashing. 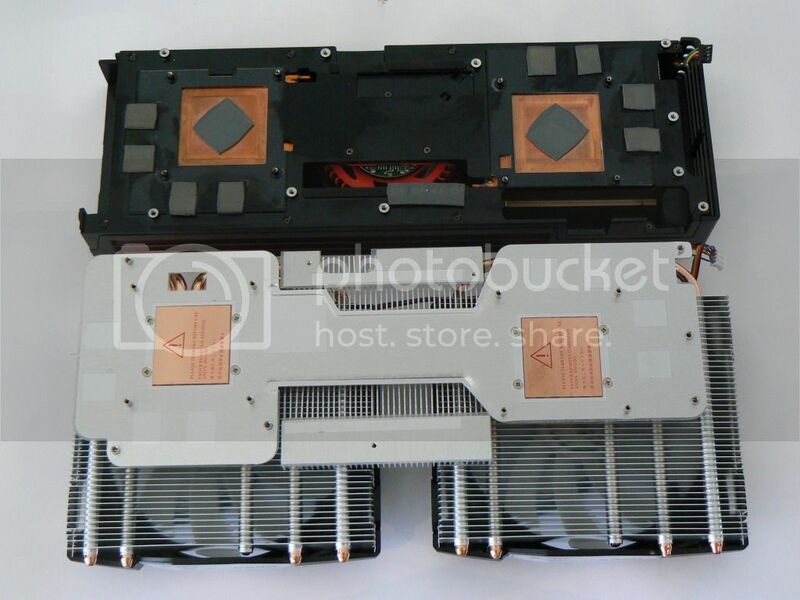 Back of the cooler, sporting a pair of copper contacts for the GPUs. 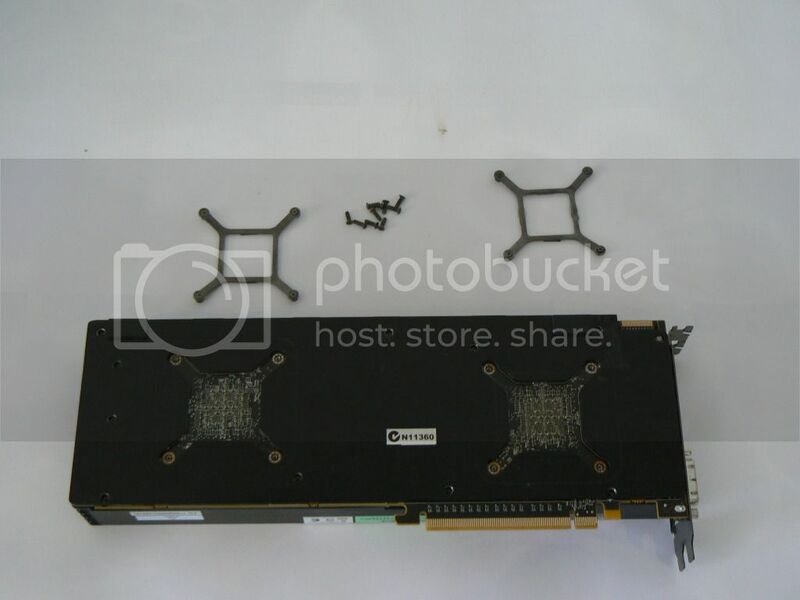 Closeup of the dual GPU PCB. Its a shame how you never get to see all this unless the card is in bits, it is really fascinating to see how everything comes together. 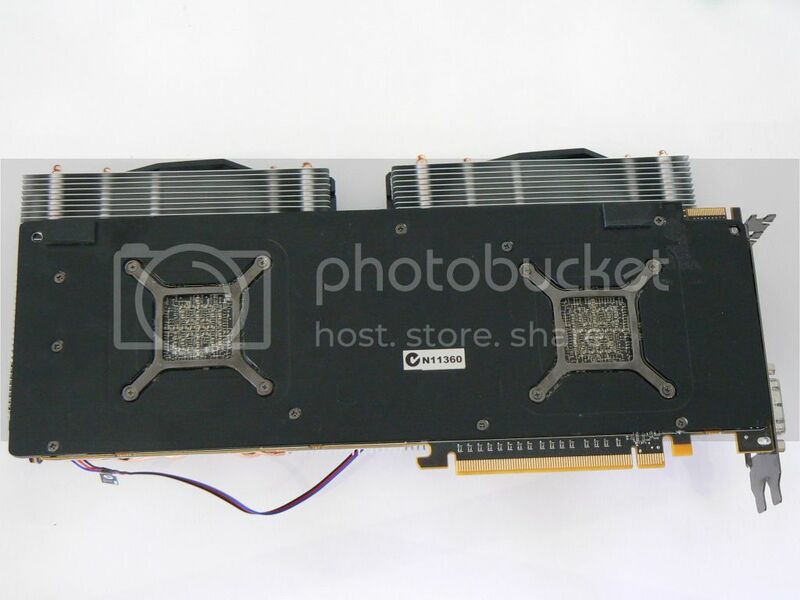 When using the stock cooler, the card would overheat running a very lightweight game such as Minecraft or Magicka, then throttle its speeds down to idle speeds (450MHz on the core) to prevent futher overheating. Even after throttling the card would still hit 106 on the Core. 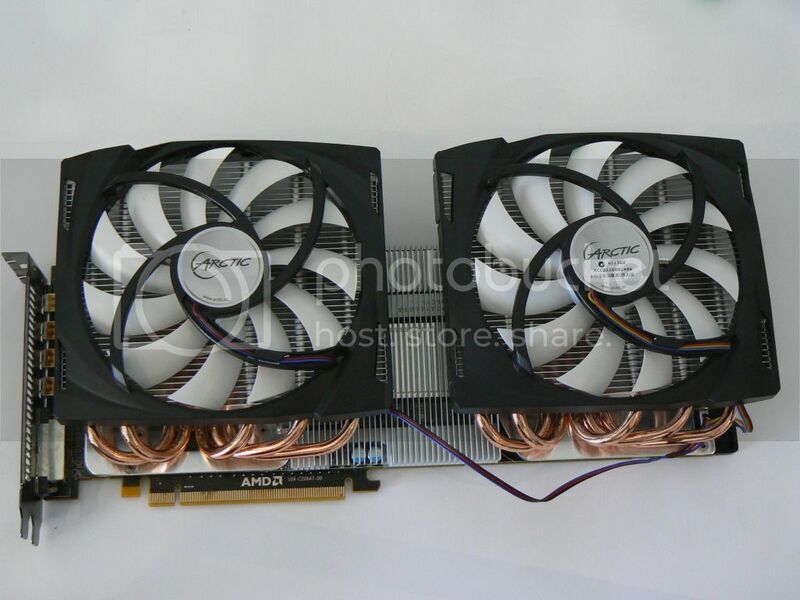 When using the Arctic Cooling cooler, the card ran very cool, both at stock and overclocked. 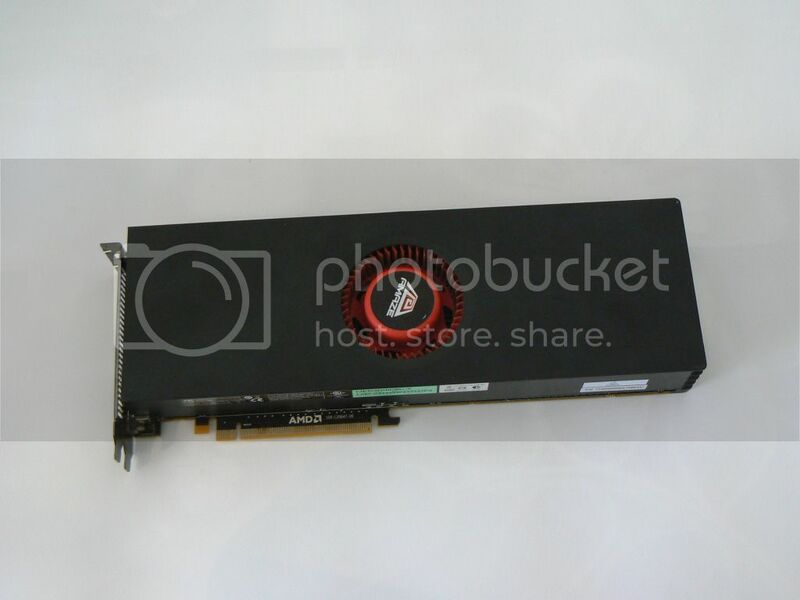 Currently the card is overclocked to match the card on the OCC review, found here http://www.overclockersclub.com/reviews/sapphire_hd6990/4.htm except Ram speed is slightly lower. Due to having low Core, Ram and VREG temps when overclocked, i will continue to overclock this card until it reaches its limit, whether that be thermally or it begins artifacting. It is worth noting that on auto fan control, the Arctic Cooling fan never went over 29%, on load or at idle. Due to removing the thermal throttling present on the stock cooler, performance climbed massively when upgrading the cooler. This is not a fair representation of performance increase when using an aftermarket cooler, it only works in my case due to having a faulty stock cooler. Overclocking this carrd increases performance, and I have a feeling that after removing the bottleneck of a Intel i3 cpu, performance will only increase. I do not own a SPL meter but so here is some subjective testing on the sound levels. 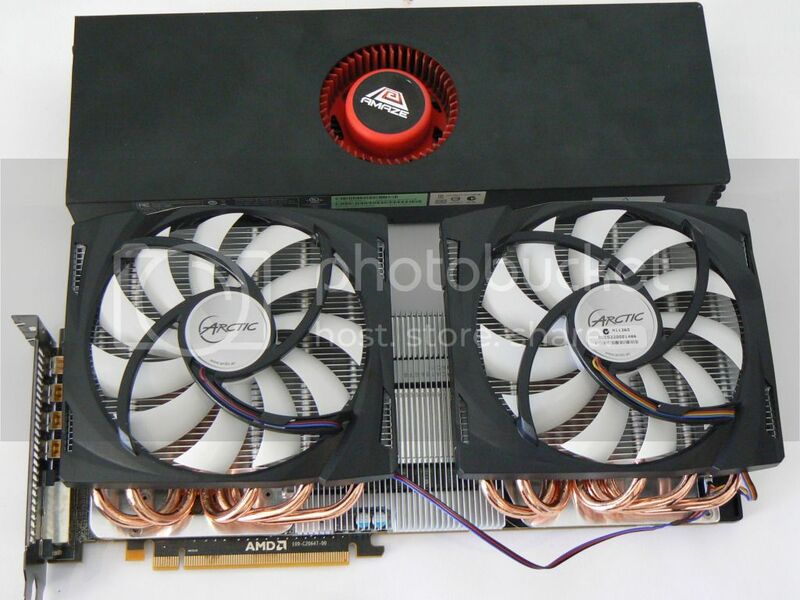 When gaming or in a benchmark, the stock cooler can be heard outside the room with the door closed. It was louder than normal talking volume and people that i was on teamspeak with couldn't hear me or anyone else on the chat over the sound. Most people thought it was a vacuum cleaner before i told them it was a graphics card. 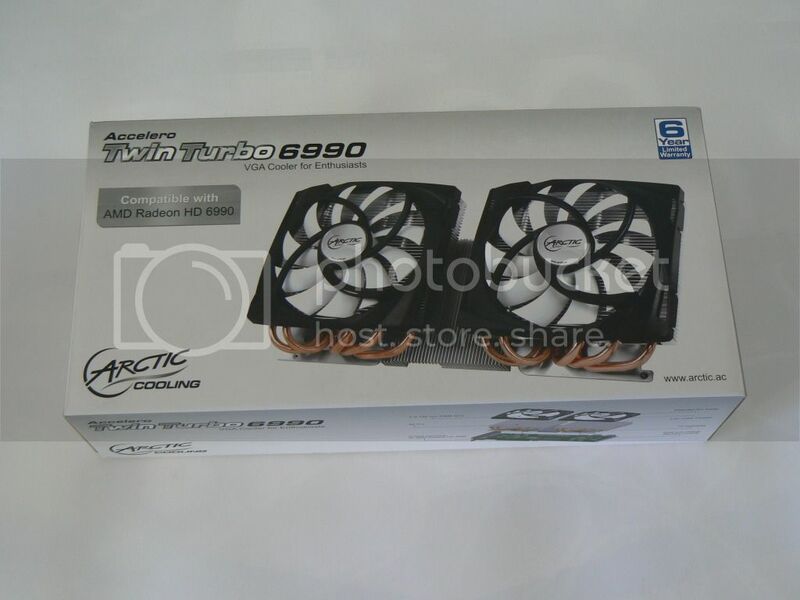 The Arctic Cooling cooler however, is silent under gaming and benchmarking, even overclocked. The sound of a stock Intel i3 cooler is louder than the graphics card cooler, as is the 140mm fan on the Corsair HX 1000 is louder than it too. How's the noise of it now? 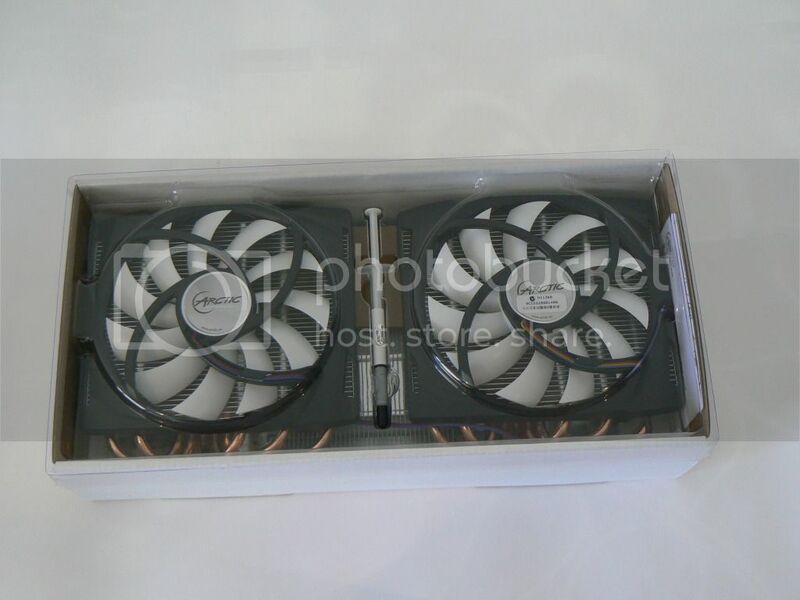 I supposed it'd be very quite considering the size of those fans.. 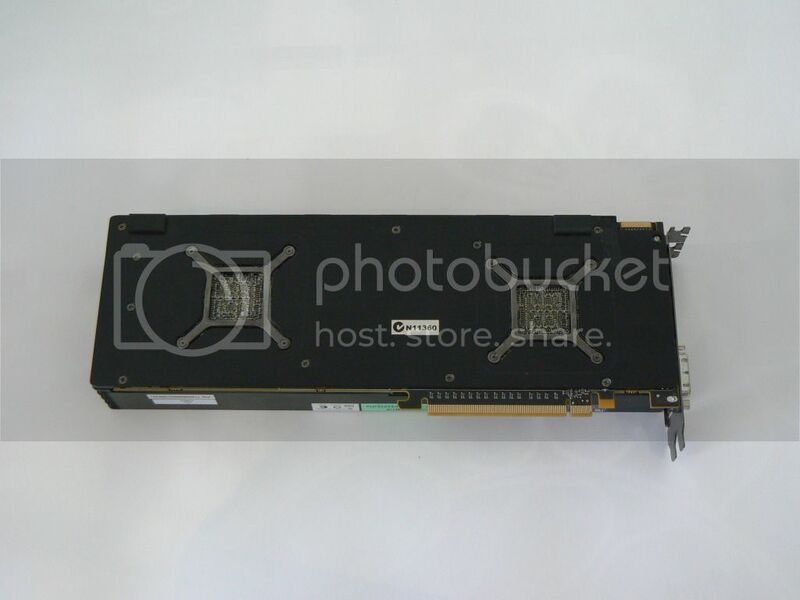 I didn't know the 6990 would ship with such a small fan, that looks like a joke to me. Aftermarket all the way! 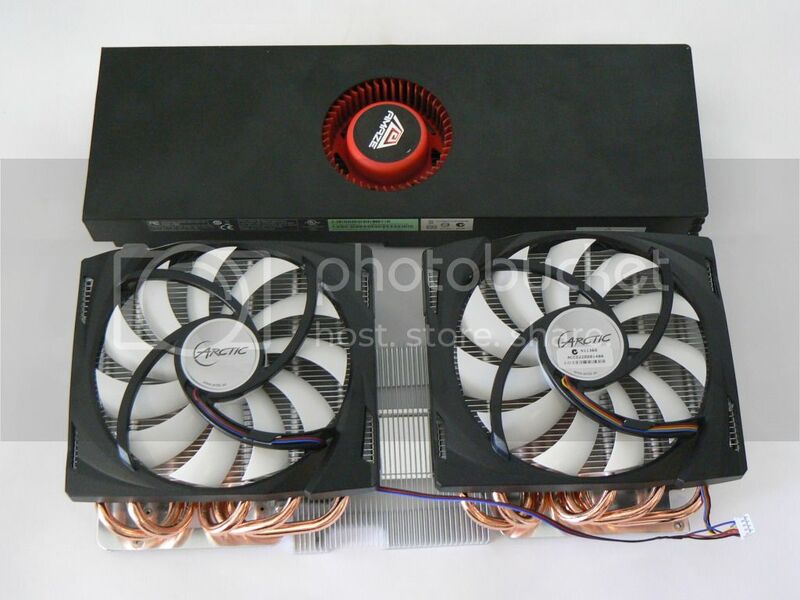 I would really like to know the temps with the new cooler at %100 fan speed. It only drops it 4 degrees or so at load. 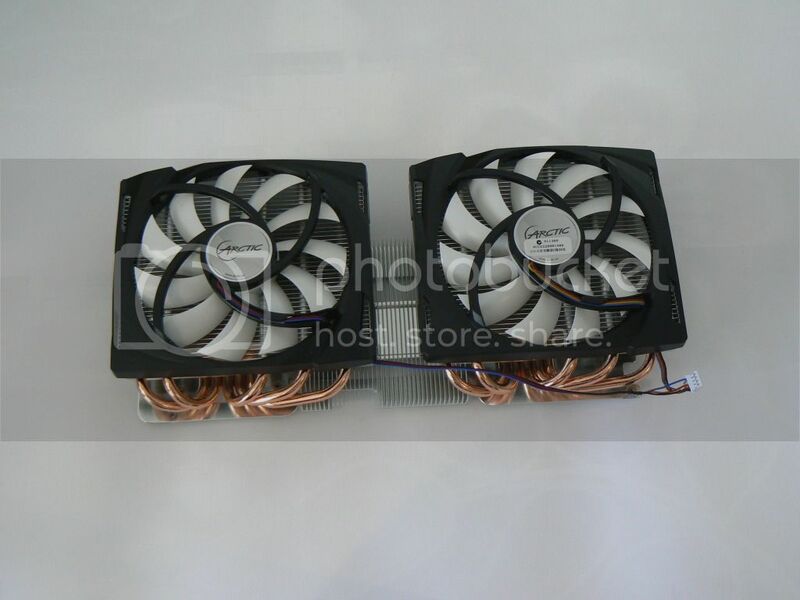 I wonder what is actually wrong with the stock cooler...perhaps a bad fan? You should tear the shroud off and see what the insides look like. Also - when installing full cover heatsinks / waterblocks I find it a lot easier to place the thermal pads on the card itself rather than the cooler. It makes alignment FAR easier and you know for sure that you aren't missing any chips because of a slight misalignment. 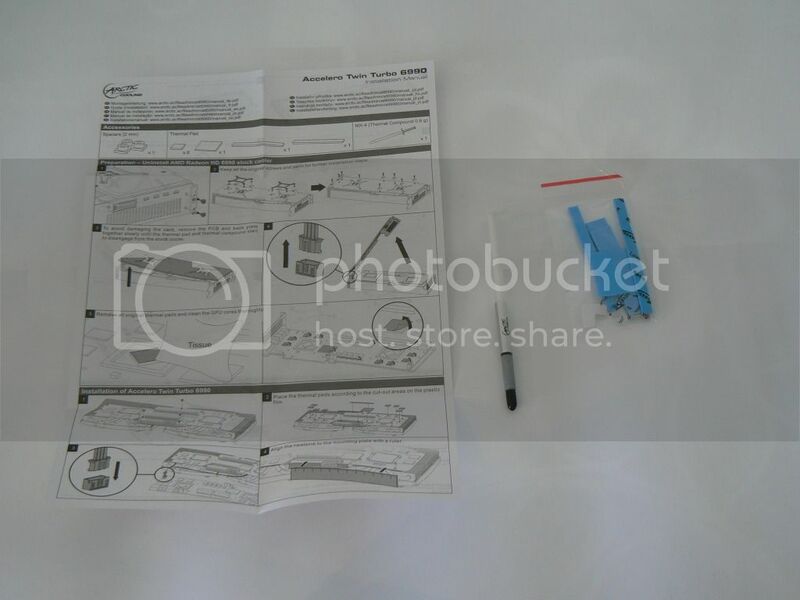 Nice pictures and mini-review though!!! 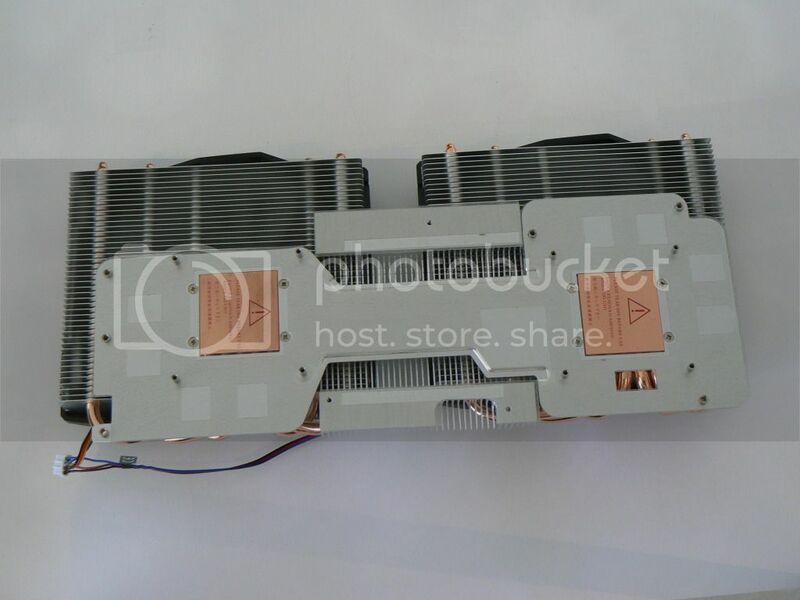 Yeah, ill do a teardown of the stock cooler. the fan certainly was spinning fast, my ears can vouch for that. and it pushed a large amount of air out both ends of the card. Silly question and I may of missed it, does it now take up 3 slots? Just did a run at 950MHz core and 1450MHz memory, maxing at 66 degrees core and 82 degrees for the VREG. This is all at stock voltage btw, im wondering how far i can push it, cause already its going damn fast. Whats a max safe VREG temp?